ICG has developed a number of solutions targeting the food and related industry over the years. Working with companies like Kraft Foods, U.S. Foods, Dot Foods, Fleming Companies as well as large food and beverage operations like MGM Resorts International and Love’s Travel Stop’s & Country Stores and industry suppliers like Ecolab, ICG has learned about many of the unique challenges in the financial back-office for these companies. 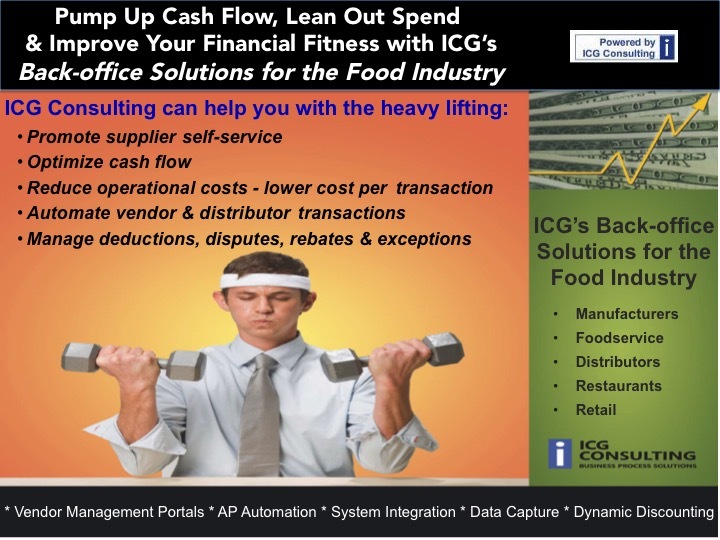 Contact ICG today to learn more about how we help you to save cost, increase service and enhance your bottom line. At ICG Consulting, we offer a variety of Cloud Hosting options to meet your business, IT and security needs. ICG Cloud Hosting: Single-tenant, SaaS type model which ICG hosts and manages in the cloud. 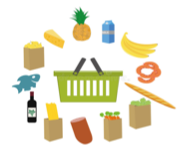 Using our extensive experience in the food industry and related businesses, ICG can tailor a solution to meet your specific needs. We help you reach your goals in a way that makes sense for your company and your bottom-line by offering scalable solutions that grow as your company grows. Our technology solutions are fully configurable and modular and they are ERP-independent, which allows your Legacy System to remain intact. At ICG, we also help provide a bridge between your suppliers, customers, distributors, employees, and the critical information they need to work efficiently. We offer hands-on, all-encompassing solutions by taking into account your current processes as well as your technology requirements. Our solutions are technology-agnostic and can be integrated into your current system and buying network. Contact ICG Consulting today to speak with a representative or schedule a demo for your team.